I am trying to catch up on my blogging, since I have been photographing many different events, and trying to fit in time for editing, posting, eating, sleeping. Now that we are in the final week of the Olympics, it is all starting to catch up to me. I went to bed at 3am for the fifth night (I guess that would be morning) in a row. I am writing this on the bus to the Olympic Park now, as I head to shoot more short track speed skating. I was at this venue a couple of days ago and wanted to share some of the photos with you all. Because I only had 45 minutes to shoot photos of this sport, before heading off to a USA hockey game, I chose to shoot from a high position. This way, I could show up and leave whenever I wanted. If I was at ice level, you have to been in position well before the event starts and can not leave until after it is over. Since I am contractually obligated to shoot the US hockey games, I never want to risk being late for those games. I always arrive at the rink at least 90 minutes prior to the puck drop. As usual, I started by taking the safe shots with fast shutter speeds (1/1600 sec) and fairly wide views. As I got more comfortable with the action, I would zoom in a little more. Whenever I teach photography to beginners, I always remind them to be aware of the backgrounds. Well...at the Olympics, there are usually some really nice backgrounds with the Olympic rings. So I framed this shot to take advantage of my background. And then, once I had my safe shots, I changed the ISO back to 100 and the shutter speed to 1/20 sec and panned along with the skaters to get motion blur. I saw this shadow, and really liked the way it looks. I shot this exposing for the shadow and not the skater. I did play around with this a little and came up with this. Once I get home to my big screen, this may warrant some more playing around. More motion blur, this time keeping all the skaters in focus. Notice how the slow shutter speed shows the motion in the feet and hands of the athletes. I like this shot, because everyone is in motion except for the one women who obviously got a late start. My goal in shooting the rest of the athletes was to get motion in all of them, except for one. I shot all of these photos at 1/25 sec and panned along with the one skater I was trying to highlight. Notice how the distance from the focal point affects the motion in the skaters. I am finishing this blog entry from the floor of the Iceberg Skating Palace, where I am currently shooting photos of the short track speed skating from ice level. It is a very different look at the sport from down here. I am at their level and shooting with a Canon 70-200mm lens and a 200-400mm lens. This gets me right into the eyes of the skaters. Have I mentioned that I love my job?! I will do my best to blog the floor level images soon, so you can see the difference. Hmm. Wondering if the shadow images would work if you flipped them upside down with the shadow on top? Just a thought. The shadow shot is quite amazing, but your white balance seems to vary quite a bit? Beautiful shots! I look forward every morning to reading your blogs. Thanks!!! Jeff, What can I say? Your coverage of the games you are sharing on your blog is absolutely amazing. I am really enjoying the variety of subjects and topics you have covered. I can't wait to see what week 2 has in store. With that said, I can only imagine the effort it has taken to keep up with your blog and for that I say thank you! All the best and safe travels home! 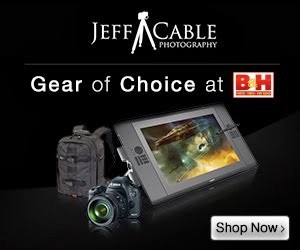 Jeff, it's obvious from your enthusiasm, the quality of your pictures and the way you explain your cameras and settings so we can learn from you that you love what you do. I appreciate all of this. I know what it'e like to love what you do, it not like going to work. Look at the perks, going to Russia, etc. Thanks for it all.